Oh so chic! The Rise Above Tank from our friends at Iron Lily certainly does rise above your ordinary workout top! This super stylish tank is crafted out of a high performance compression fabric that affords you with the right amount of support and multidirectional stretch that you need when giving it all to your workout. The moisture wicking properties are impressive with a material that delivers an amazing 8 fold drying capability compared with other fibers and combine that with strategically placed mesh inserts and flatlock seams, and you have a top that will be comfortable throughout that sweat-filled stint at the gym, hot yoga session, or long distance run. Plus it looks great on with a flattering fit and sleek lines that would even work for a night out on the town. 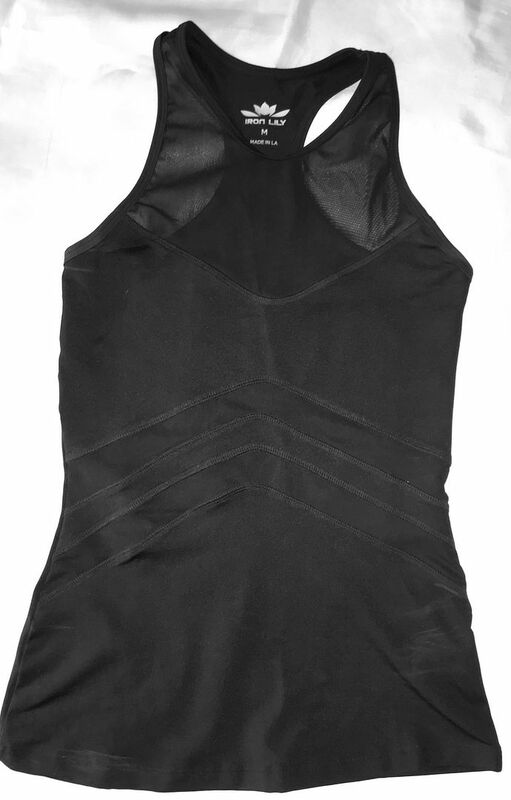 For the TrailblazerGirl fashionista, check out the Iron Lily Rise Above Tank!